The rom is not mine. Belongs to Reagan. I m just sharing it with you all. So we are not going to have much support if the author of the ROM doesn't frequent this website are we? Do you have a link to the original download page / forum where we can request help or support with this ROM? Appreciate the thought, but posting other people's ROMs needs to be thought about beforehand. Guy's these developers are Chinese, that's in China..
You can always post your comments on slatedroid if in doubt. Btw; thanks for posting this miror..
Fast, customizable, this ROM absolutely rocks, OPPO rocks. Music app is just a superior experience, the built-in equalizer almost matches Viper Audio awsomeness. Sadly only English and Chinese. Xposed seems to work, Camera doesn’t change colors, but photos seems darker. 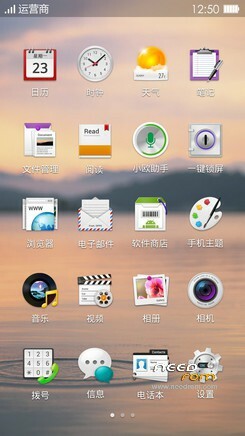 OPPO experience is polished, far better than Lenovo, also OPPO is quite open. Only needs some cleaning, gapps work flawlessly after update. As I said, a superior experience.